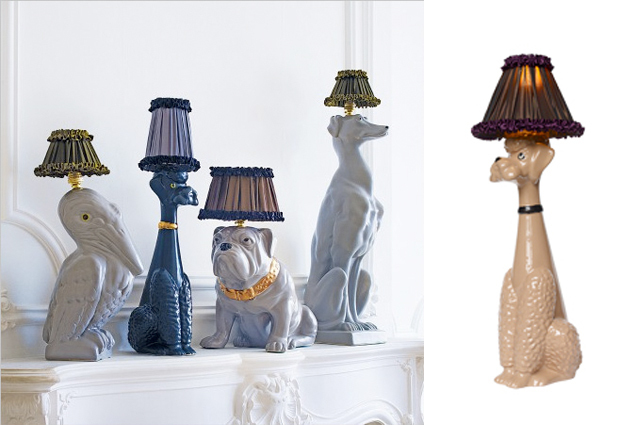 If you long for a dog but have a partner who hates them, a relative with an allergy, or simply can’t bear the thought of all that fur and mud (and believe me at this time of year it’s muddy out there) these dog lamps could be just the answer. I tell anyone who will listen, that a dog will light up your life and there is no doubt these bad boys will do just that! 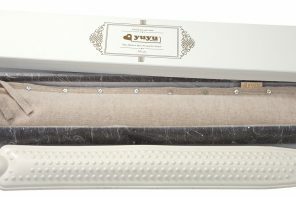 The above retro inspired lovelies are from Abigail Ahern and cost from £195. Archie (nice name!) 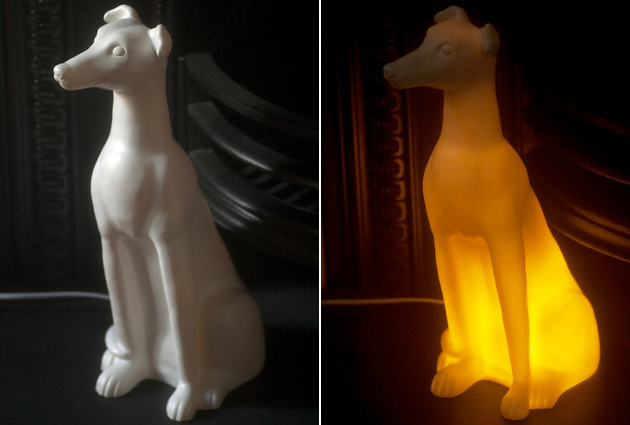 the elegant whippet is £65 and you can buy him from east London’s favourite dog groomer Victoria Bark or online. 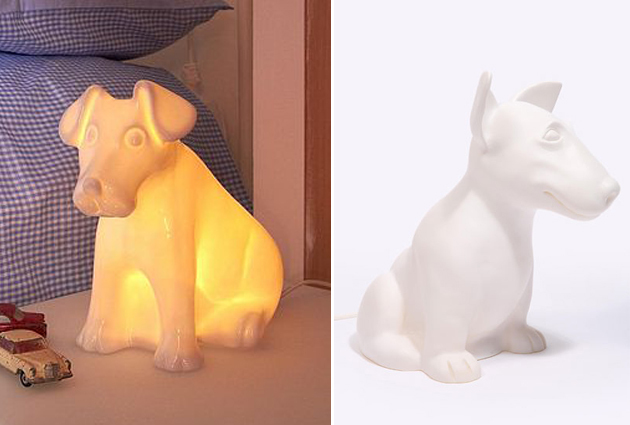 The slightly sad looking terrier (he doesn’t have a name) is yours for £60 and available from Not on the High Street and the bull terrier from Urban Outfitters is also £60. Finally, I love this poor chap wearing the ‘cone of shame’. Any dog owner who’s poorly pooch has had to wear one of these, will know how sad, but truly hilarious they can be!! 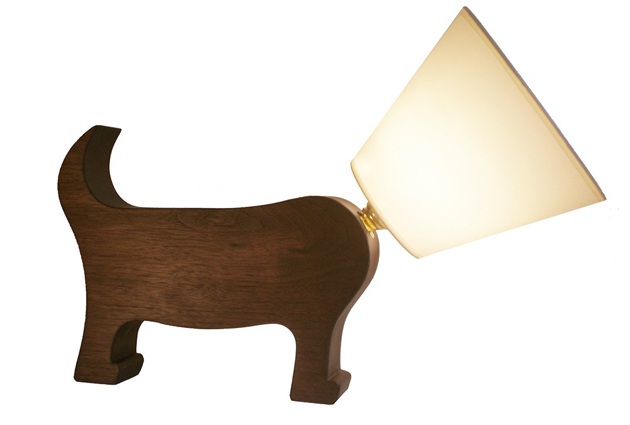 Made from sustainable walnut, it costs £95 and is available from Howkapow.